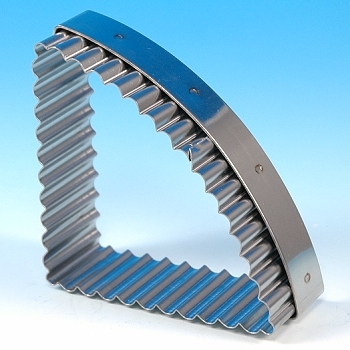 Made of heavy duty 18/10 stainless steel. 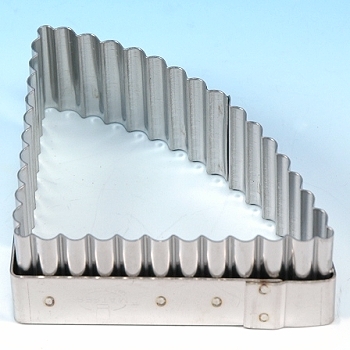 Classic shortbread cookie cutter with its triangular curved shape and fluted edge. Dimension: 3 1/2" x 3 1/2" x 4 7/8", height 1 3/8"